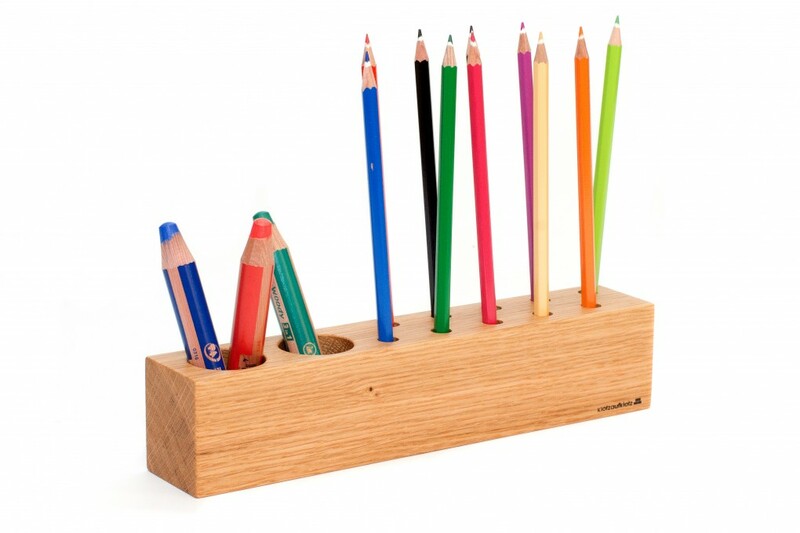 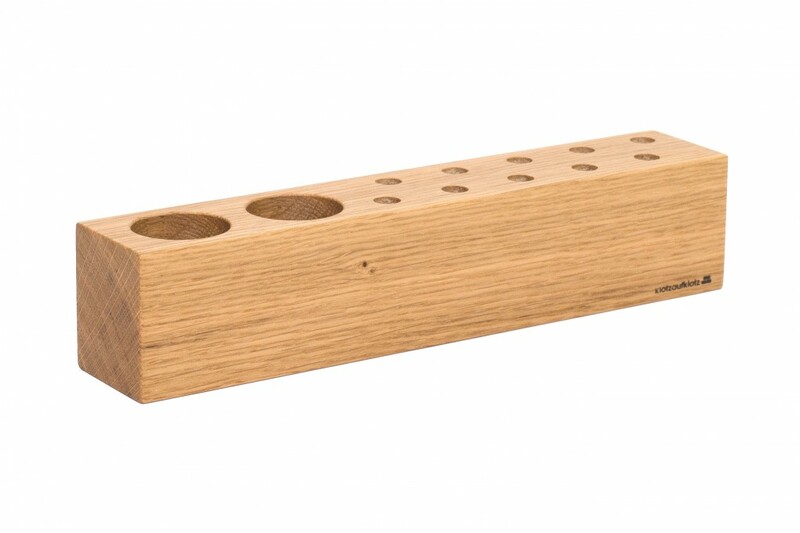 Our pencil holder is made from solid oak wood and makes for a safe and sturdy stand. 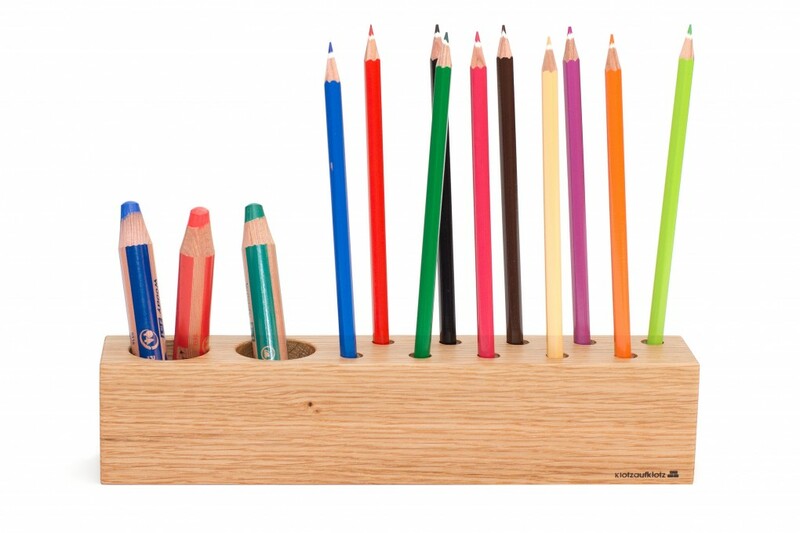 Place scratch paper in the designated indentation and start scribbling away. 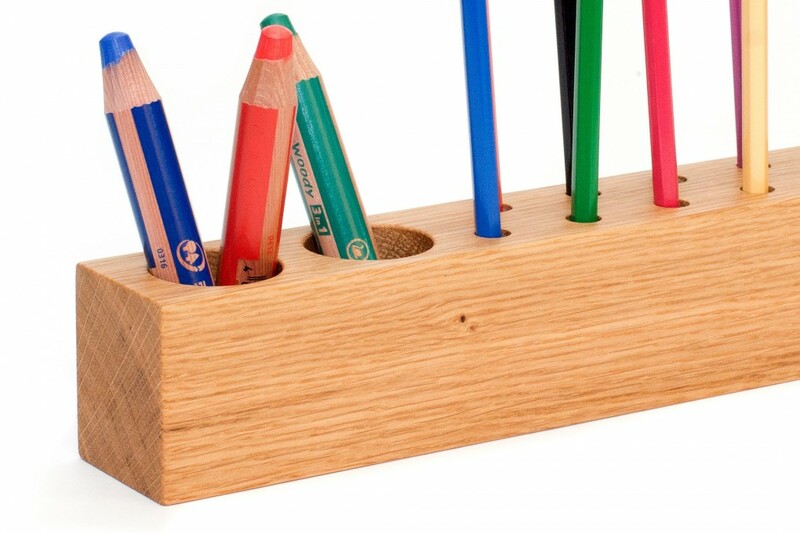 As a desk accessory, the pencil holder reveals the signature style of klotzaufklotz: understated and functional.